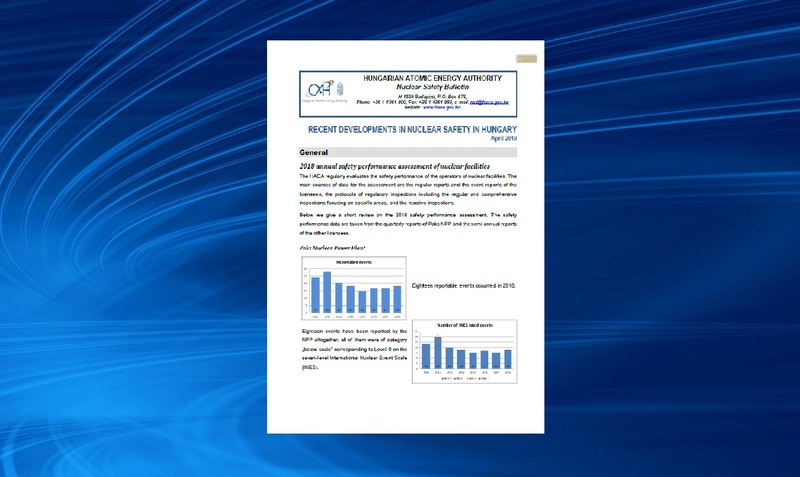 The new issue of the HAEA’s Nuclear Safety Bulletin presenting a number of interesting articles is now available. In the new issue you can read about the IRRS Follow-up Mission in Hungary, the report of the 1st Topical Peer Review on 'Ageing management of nuclear power plants and research reactors', the Plucky Puli national nuclear security exercise, the ECUREX-2018 emergency exercise, the regulatory licensing and supervision activity of HAEA related to the new unit construction project. HAEA provides detailed information on the events of interest in the Bulletin, such as the drop of the geophysical probe containing a radioactive source into a logging well. 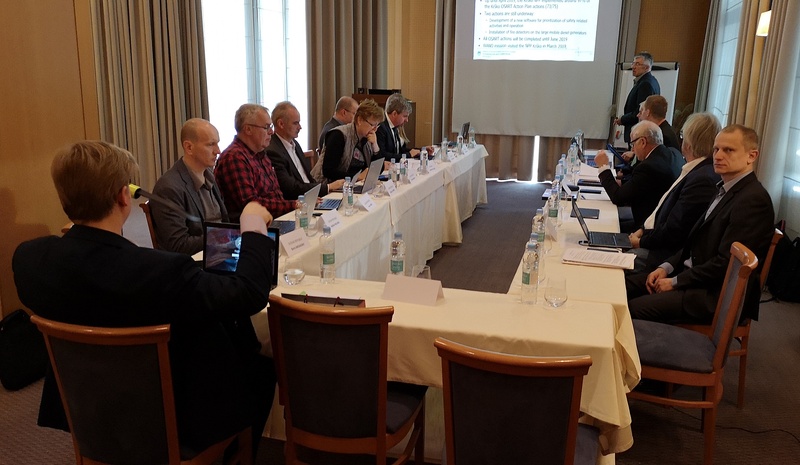 In the 20th year of the association the 2019 spring plenary meeting of the Western European Nuclear Regulators Association (WENRA) was organized by the Hungarian Atomic Energy Authority in Budapest. About 60 participants from 25 countries attended the event. During the plenary meeting, the participants discussed and adopted the new strategic objectives of WENRA and the new Terms of Reference of the association. Verification of the discharge and environmental monitoring activities of MVM Paks NPP Ltd. (PA Zrt.) was carried out between 2-5 April 2019 in Hungary by experts of Nuclear Energy Directorate of Directorate-General for Energy of the European Commission. With the participation of the Czech, Hungarian, Slovak and Slovenian nuclear authorities, the usual annual quadrilateral meeting was held in Ptuj, Slovenia, on 3-4 April. The Hungarian delegation was led by Mr Szabolcs Hullán, Deputy Director General of the Hungarian Atomic Energy Authority. 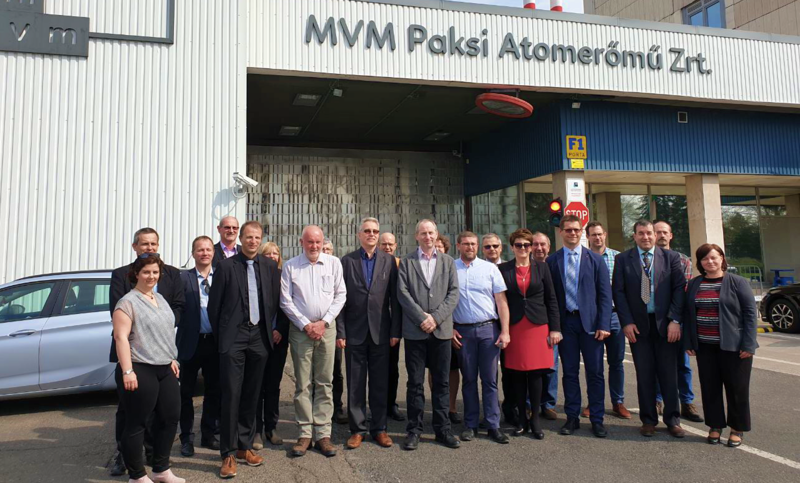 The Hungarian Atomic Energy Authority hosted the TC Europe Regional Workshop of the International Atomic Energy Agency on Safety Culture from 29 to 30 March, 2019. The participants of the event focused on the different aspects of the Management, Leadership and Culture for Radiation Safety (how to set up, develop and integrate it with other management systems such as the quality management system and labour safety system).